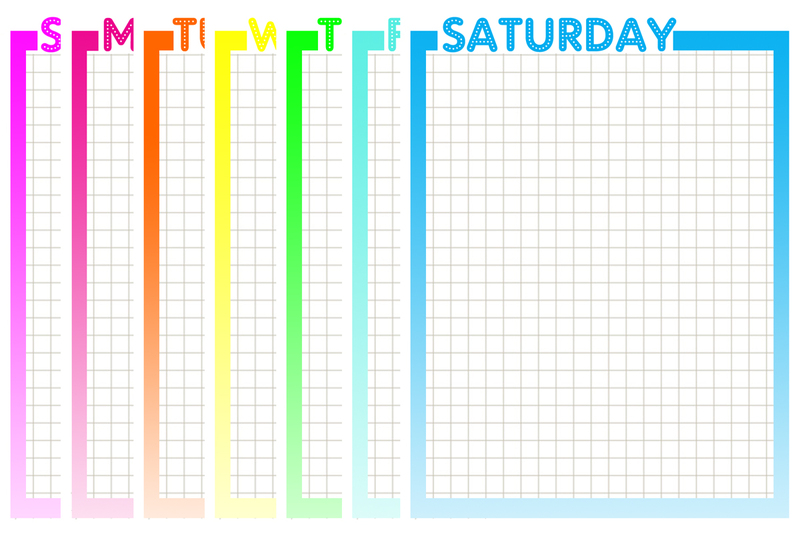 I'm having a lot of fun with my experimentation in PSE to create printables for Project Life and general scrapbooking. 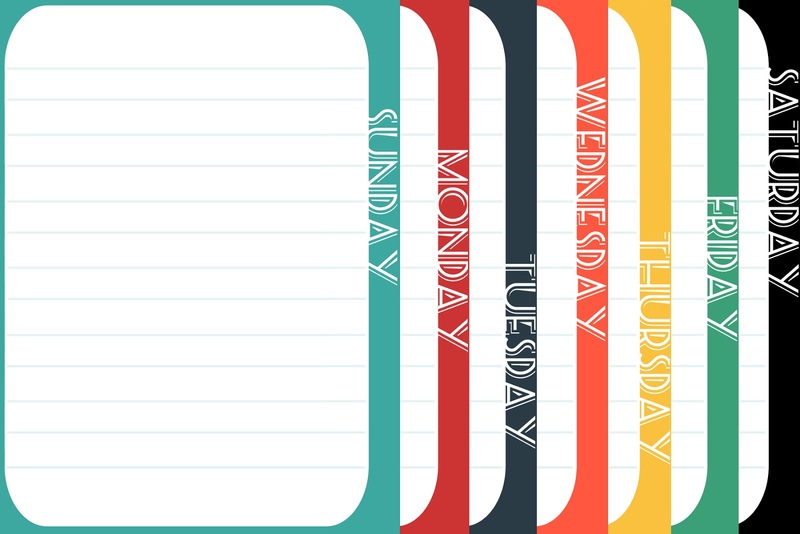 I created 2 different sets of day of the week cards, and monthly ones are waiting in the wings. If something strikes your fancy, feel free to download it and use it as often as you'd like. This first set can be used with either square or rounded corners for your preference. You can download the PDF here via Google Drive, no account needed. This second set looks best with the corners square, but if you don't mind mixing on your PL pages, you'll hopefully find plenty of use for them. You can download them here via Google Drive. Those are AWESOME! It is very generous of you to share with us! I forgot to add that my faves are the neon ones. 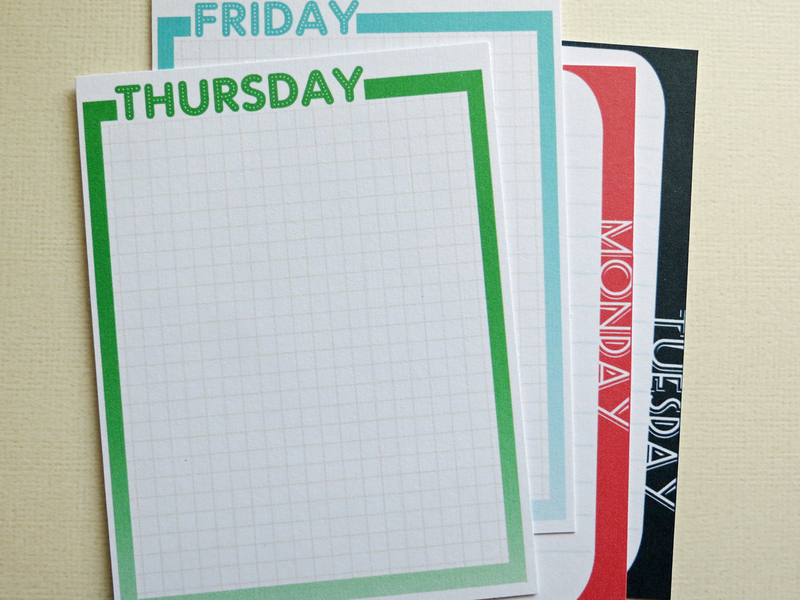 I bought the Freackled Fawn neon enamel dots and your cards are perfect to use with the dots! Great work. I also have some neon enamel dots on their way here so I'm excited to print cards to match. Thanks for sharing your hard work with us. Oh this is SO beautiful ! What a pity that I don't have any good printer ! Anyway, thanks for sharing.